When you improve your feel for the water you become a more efficient, and ultimately, faster swimmer. Here is how to do it. 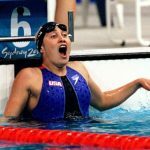 Statements tell us the elite athletes in our sport are so finely attuned to how their body relates to the water that it defines explanation. After all, our sport is more about being efficient and drag-free than being a monster in the gym. Intuitively, you already know that you can be the strongest person in the weight room but that a high bench PR doesn’t correlate to a stronger catch or faster pull. The thing that separates top level swimmers from mere mortals is largely their efficiency and feel for the water. Being able to find a balance between pulling too hard in the water and pulling just enough. Of being able to catch more water than the swimmer in the next lane. 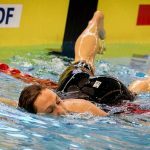 So how do we improve this aspect of our swimming? We’ve all had those practices where we feel like we are slipping through the water. Where no matter how hard we try, that our hands feel like they are unable to properly grasp the water, leaving us feeling like we are thrashing and overly exerting ourselves. It’s natural to want to stick to your best stroke all of the time. We want to sharpen our most powerful weapon, and so we focus all of our energy, time and training to it. It’s fun doing what we do best, after all. So we can be forgiven for being a little confused when our coaches decide to have us swim a significant portion of practice doing one of our off-strokes. 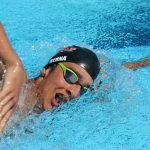 Outside of also being helpful in building aerobic capacity, training your off strokes means you have to manipulate the water in a different way. Think of it as highly specialized cross-training for your best stroke that also helps you increase your feel for the water. Sculling is a powerful and highly versatile way to improve the relationship you have with the water. The versatility is limited only by your imagination. Think of sculling as your swiss army knife for improving the way you hold and feel the water. It’s endlessly customized to what you want to focus on that particular day. Is your hand slipping out during the catch? Spend some time up there sculling. Feel like you aren’t closing out your stroke properly? Grab a snorkel, put your head down and spend time sculling back there. Use a pull buoy or swim fins with a light kick to maintain proper body positioning when sculling and remember to emphasize continuous and deliberate pressure on the water with your hands. 3. Open the swim gear bag. 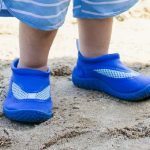 There’s no shortage of swim equipment out there, and some of it can dramatically improve your feel for the water. When we talk about feel for the water we are typically talking about the pulling motions. But with a pair of DragSox you can also help to improve your foot’s feel for the water. When you take them off for the first time your kick will feel “fuller”, if that makes any sense. When it comes to your hands you can grab a pair of tennis balls and swim freestyle with them. 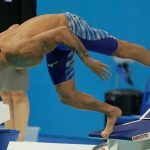 Similar to closed-fist drill, it forces you to make do with less surface area to complete a pull, while the added buoyancy also means you need to really focus on a proper pulling motion. Hand paddles will help you have a proper hand placement during your stroke—for most freestylers, in particular, they will slide their hand in thumb-first. Finger paddles are probably best, as when you take off paddles larger than your hands it feels like you’ve actually lost some of that precious “feel”. Similar to sculling you can employ a wide variety of drills in order to improve specific components of your stroke and increase your feel for the water at the same time. The key to doing drill work is performing it with mindfulness and intention, and to actually focus on the drill aspect of it. 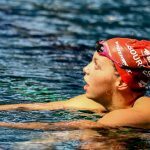 A common problem with younger swimmers is that they have a hard time turning off the competitive instinct when doing drill work. Instead of doing it properly they rush through it to beat the swimmer in the next lane. Remember: drill work not done perfectly is completely wasteful. 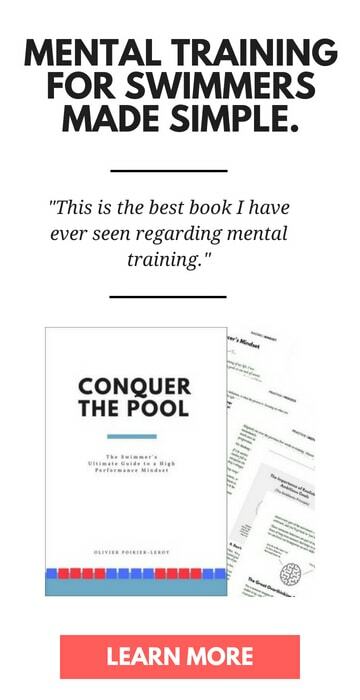 All you are doing is introducing and ingraining bad technical habits into your swimming. Either do them mindfully or don’t do them at all. Don’t have the gear? Not sure if you are doing the drills correctly? 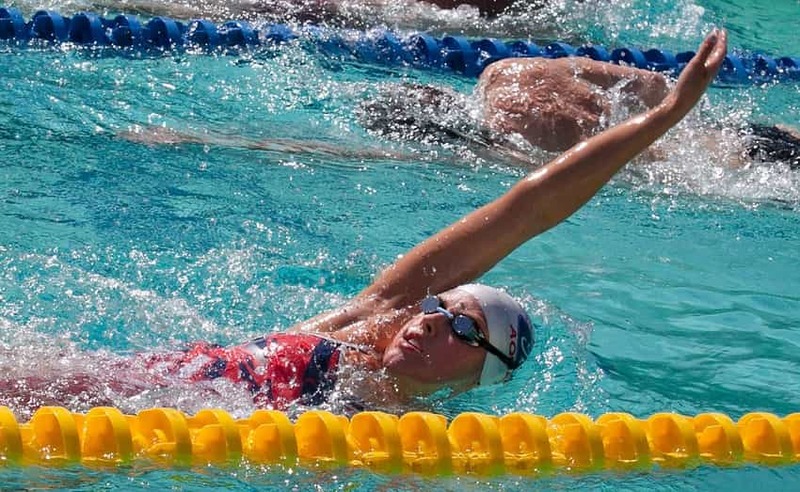 Introduce super slow swimming to your training. This is hands-down one of my favorite ways to get my feel for the water back. It also requires no equipment and can be used intermittently before, between and after hard sets to keep form and feel intact between hard efforts. Doing everything at 1/4 speed means you have to be extra attentive about every aspect of your stroke, including the hand entry and pulling motion. It’s like suddenly walking super slowly; the things you never thought about before like foot placement, moving your leg, are all suddenly things you have to think about now. In truth about developing an awesome feel for the water is straight-up consistency. 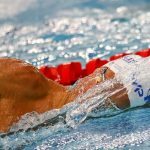 More time spent in the water, swimming with deliberate focus on technique, increases it over time. 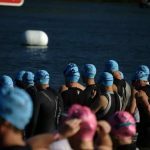 It’s tempting to look at dryland as a substitute for swimming, but nothing will help you develop your feel for the water more than being in the water, having your hands in there playing with various speeds and pressures. You know what it’s like being out of the water for a few days—those first few meters always feel a little foreign, your hands initially struggling to regain the touch. Developing a better feel for the water happens over time, with consistency. The more you are in the water, the better you learn to move through it. It simply feels amazing when our feel for the water is with us, when we glide across the top of the water with a long, fast, and effortless stroke. Incorporate some mindful drills, some sculling, and do it with consistency and you will be well on your way to developing that mythical feel for the water.